When the temperatures rise, and you have the evening off, there is no better way to relax with family than turning the grill on and cooking a proper meal. 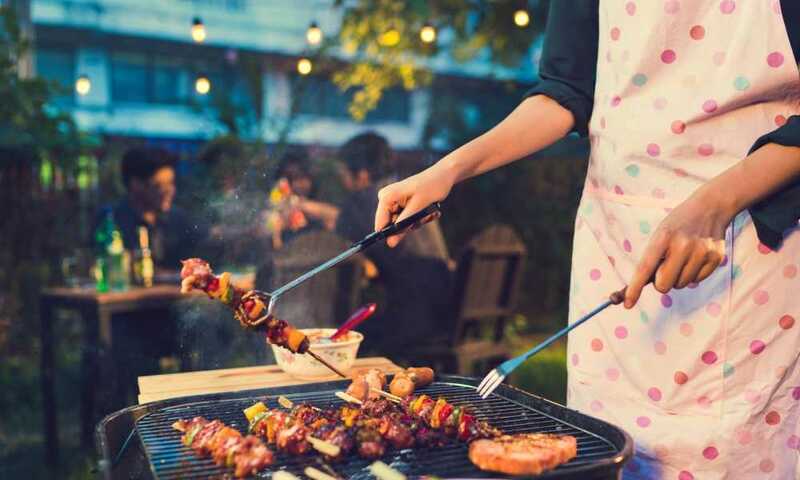 Grills are one of the main ways people cook during the warmer times of the year, and they are ideal to reduce heat in the house and cut down on the overall clean up. If you are looking for a new grill to purchase, it can be a difficult task because there are so many being offered right now. This is why it is up to you to do the research and decide not only what type of grill that you want, but also what specific grill you want. One of the most popular grills is the pellet grill. But what are they, and how do pellet grills work? Are they worth purchasing? We are going to answer these questions and more. What is a pellet grill? How do pellet grills work? Pellet grills are outdoor grills that are powered by electricity. They heat up by using hardwood pellets that you can purchase in the store. These pellets are made of wood and you can buy various types depending on the kind that you like. The pellets are usually sized like a small capsule, and they are the “fuel” for the entire grill. The wood pellets are also a huge enhancer of flavor, offering that authentic smoky taste that so many people crave during the summer months. Pellet grills are known exclusively for their versatility. With a pellet grill, you can smoke, grill, bake, and braise your meat or vegetables, and you can have various cooking experiences with them. They usually come installed with a digital control board, so they actually feel more like an oven. You simply set the temperature at which you want it to cook, wait a few minutes, and then add the food. They are easy to use, have almost no cleanup, and offer a full evenly cooked meal. We already mentioned the versatility, but there are many other reasons why a pellet grill is the way to go. They are so easy to use, and you can set it and then forget about it. They have the accuracy of using an oven in the kitchen, but they infuse food with a real smoky flavor. Using a pellet grill is easy and you can cook a variety of foods on it. So, now for the main topic at hand: How do these grills work? They are all equipped with an advanced digital technology exclusive to pellet grills. When you set the temperature you want, the grill uses an algorithm to understand how many pellets it is going to take to acquire that particular temperature. The algorithm also figures out how often the pellets will need to be put into the fire to maintain the temperature that you want. There is a rotating auger on the inside that takes the pellets from the hopper to the fire. From there, a fan blows the flames and distributes the heat throughout the grill. There is also a diffuser plate built into the grill that maintains an even temperature. As your food is cooking, the pellet grill continually drops the pellets needed to keep the fire alive and at your desired temperature. If you are now convinced that you want a pellet grill, you need to understand what you should be looking for in one. The first thing you need to look for is one that is accurate. If you set a temperature, you need a pellet grill that can easily maintain it without being completely wrong. You also want a pellet grill that can hold a lot of pellets so you do not have to keep buying new ones, spending a lot of money. The most important thing is finding a pellet grill that fits within the area you want it, and one that is easy to use! We wish you the best in your purchase!